Dr. Harry Hahne has taught at the Gateway Arizona campus since 2002. Previously, he taught for sixteen years at Tyndale Seminary in Toronto, as well as at Heritage Baptist Seminary and University of Toronto. He has served as a pastor in Illinois, an interim pastor in Toronto, a missionary in Nigeria, and in student ministry with Campus Crusade for Christ. 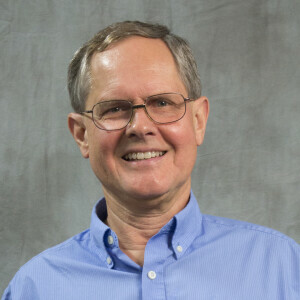 He has published numerous scholarly articles on theology of nature, the New Testament citations of the Old Testament, the Apostle Paul's theology, and computer-assisted biblical research. He is assistant editor of the Encyclopedia of Religion and Nature and author of Corruption and Redemption of Creation, a book on nature in early Judaism and the book of Romans. His interest in computer-assisted research combines his engineering background with a passion for accurate Bible interpretation. In addition to articles about techniques for using Bible software, he wrote Library Master, a widely used bibliographic research database program.